Xiaomi’s brought its Mi Pocket Speaker 2 to India on the occasion of World Music Day. It’s hosting a Mi Music Festival as well, offering discounts on its various audio accessories. The Mi Pocket Speaker 2 will set you back by Rs 1499 and is being sold exclusively via Xiaomi’s site. Its predecessor never made it to India, so it’s the first of its kind here. The company does sell a Mi Bluetooth Speaker 2 as well, but that’s a bit more pricey at Rs 1799. As can be guessed by its name, the Mi Pocket Speaker 2 is a portable speaker. One of its biggest highlights is its 1200mAh battery which allows it to blast music for 7 hours continuously. Then there’s its 5W Tmyphany speaker covered with a stylish fabric net design. The top of the Xiaomi offering serves as an on/off key via a concealed push button. 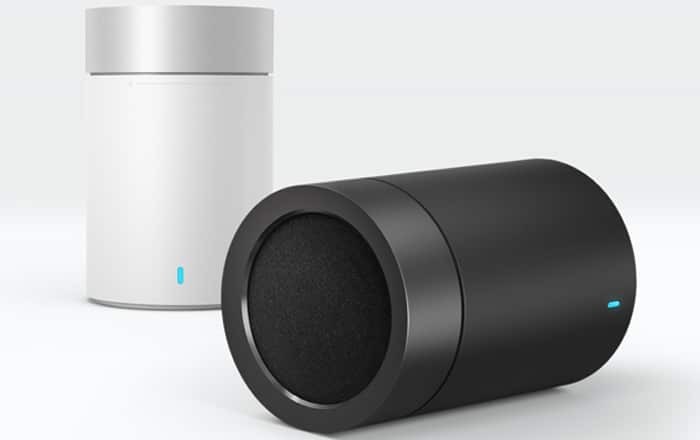 It can also be used to pair new devices, while the aluminum alloy metal ring can be rotated to adjust the volume. The bottom half of the speaker is made out of polycarbonate and ABS. In terms of specs, the Mi Pocket Speaker 2 supports Bluetooth 4.1 and has a maximum range of 10m. It comes with a frequency range of 180Hz to 18Hz and an impedance of 4 ohms. It measures a compact 9.3 x 6 x 6cm all around. Other than playing music, users can also use the built-in microphone to pick up incoming calls. As for the Mi Music Festival, it’s giving away a Rs 200 discount on a Mi Bluetooth Speaker 2 + Mi City Backpack combo. There’s also a Rs 200 cut on the Mi In-Ear Headphones Pro and Rs 100 off on the Mi Bluetooth Headset Basic. You can buy the Mi Pocket Speaker 2 here and check out the Mi Music Festival here.